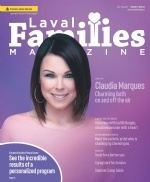 Laval Families Magazine is always looking for talented, experienced freelance writers to enhance our magazine, ancillary publications and website. 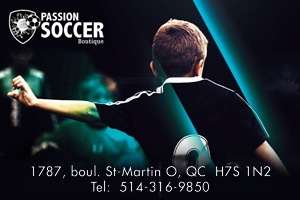 Our general goal is to have a good fun and local stories of interest to the Laval and North Shore Regions. If you think you can help us achieve this goal, please read below. At Laval Families, our mission is to provide relevant information that both serves and entertains Laval families, grand parents and children. We are dedicated to informing parents and empowering families. The goals of our features, departments, and columns is to educate, inspire, and uplift readers.We look for writers who share our vision and demonstrate a fresh, engaging style, have a keen sense of our readers' interests and focus specifically on topics that matter to families in our community. To provide families with resources that matter to them, articles may include family-related topics ranging from health, education, fashion, news, community development, senior living, home decor, family pets, cooking, fitness, parenting, childcare and general human interest stories. When needed we ask writers to use local experts who are authorities in their field. Ideally to remain family-focused, every article could include a local family or parent "voice". We are happy to consider any story idea or illustration that reflects the values and mission of the magazine. Please keep in mind that submissions are accepted on an individual basis, and consideration concerning articles is subject to the focus of the current issue, relevance to the publication and space available. Please complete this form or write to us at editor@lavalfamilies.ca.